Hero Rajasekhar’s high budget action thriller, PSV Garuda Vega 126.18M, has been making all the right noises ever since it released three weeks ago. 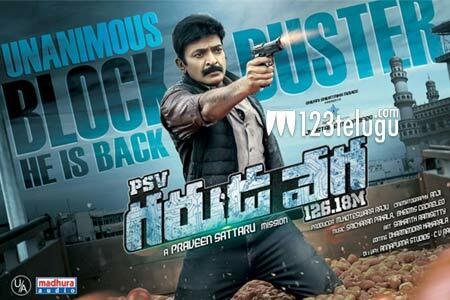 The film has already turned out to be the highest grossing movie in Rajasekhar’s career. According to the latest updates, Garuda Vega has surpassed a minor milestone of sorts in the Nizam region. The film has raked in a distributor share of Rs.2 crore until now. Trade circles are predicting that the film will go on to collect Rs.2.50 crore in its full run. This is Rajasekhar’s highest in the region. Praveen Sattaru has directed the film and M Koteswara Raju has produced it. Pooja Kumar is the film’s leading lady and Sunny Leone was seen sizzling in a special song.